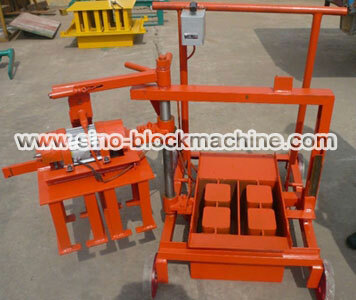 QMR2-45 Mobile Block Making Machine is the smallest mobile block making machine which we can manufacture. 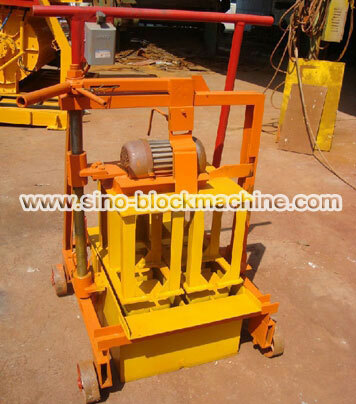 QMR2-45 Mobile Block Machine is used to produce hollow blocks. Like the other mobile block making machines,our QMR2-45 Mobile Block Making Machine adopts no-pallet design. After forming blocks, the blocks can be directly laid onto the flat ground. On the bottom, our QMR2-45 Mobile Block Making Machine is equipped with 4 wheels which can make the block machine walk easily after forming one mould of blocks.